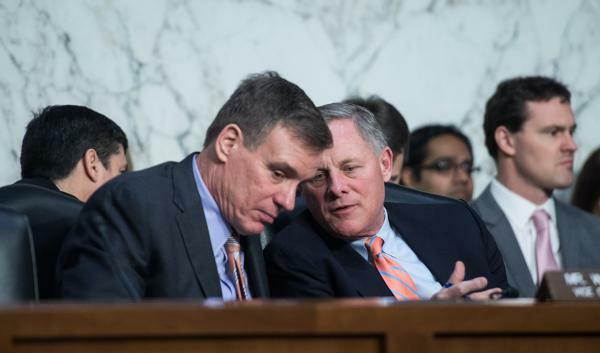 Senate Intelligence Committee Chairman Richard Burr, R-N.C. (right), and Ranking Member Mark Warner, D-Va., have released their committee's recommendations to combat cyberattacks. The findings appeared as primary season is starting to heat up across the United States. Texans went to the polls earlier this month, and Illinois — the only state known to have been successfully hacked leading up to the 2016 election — is voting on Tuesday. The Senate intelligence committee's report specifically reacted to Russia's efforts to interfere in U.S. democracy leading up to the 2016 election. "The Russians were relentless in attempting to meddle in the 2016 elections," said Sen. Susan Collins, R-Maine, in an intelligence committee press conference unveiling the new recommendations. "And they will continue their efforts to undermine public confidence in western democracies and in the legitimacy of our elections." Intelligence officials are in agreement that Russia intervened to try to hurt Hillary Clinton and get President Trump elected. Trump's allies dispute that specific assessment, but Trump did use a press conference earlier this month to acknowledge Russian interference in Western elections. Trump said his administration was "doing a very very deep study" with suggestions on improving election security and vowed to "counteract very strongly" any interference this year. All the same, White House press secretary Sarah Huckabee Sanders said she didn't think election interference came up in a phone call between Trump and Putin on Tuesday. At their press conference on Capitol Hill, senators avoided commenting about Trump's leadership on election interference, although they said they hoped the executive branch, Congress and state officials ultimately could work together. "Certain issues are non-partisan and this is one of those," said Sen. Kamala Harris, D-Calif. The Department of Homeland Security has said that Russian-affiliated operatives probed the voting systems of 21 states leading up to the 2016 election, but only successfully broke into those belonging to Illinois. 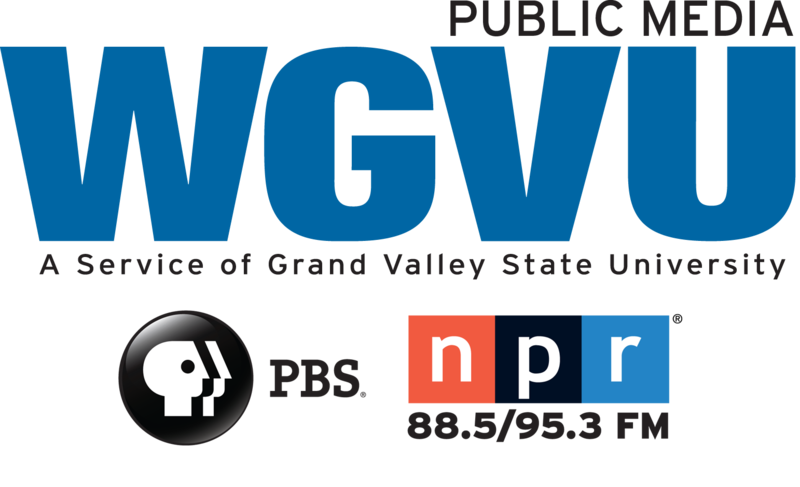 Hackers gained access to the voter registration data of tens of thousands of voters in Illinois but did not alter that data. No vote tallies were changed by the Russian cyberattacks, officials say. It took DHS almost a year, however, to disseminate that information to the states that were targeted, and to the public — a delay that frustrated election officials and lawmakers, who argued that they needed that information early to react with enough time before the 2018 midterms. The Senate intelligence committee's report includes a recommendation that "the intelligence community should put a high priority on attributing cyber attacks both quickly and accurately," and that DHS should create "clear channels of communication" between the federal government and the states. The recommendations also ask for the intelligence community to declassify information quickly, as most people in charge of running elections at the local level don't have security clearances to be able to see details about sensitive national security threats. The committee's recommendations also point to a huge sticking point in securing elections leading up to voting this November and again in 2020: improving cybersecurity requires bringing on specialized IT staff, updating software, and replacing old outdated technology. Legislation to help states cover the cost of improvements has stalled in Congress, but in Tuesday's announcement, senators on the intelligence committee spurred their colleagues to try again. "The committee recommends Congress urgently pass legislation increasing assistance," the report says. The Senate Intelligence Committee is scheduled to convene a hearing Wednesday on election security at which representatives from the National Association of State Election Directors, the federal Election Assistance Commissions, and DHS Secretary Kirstjen Nielsen are expected to testify.